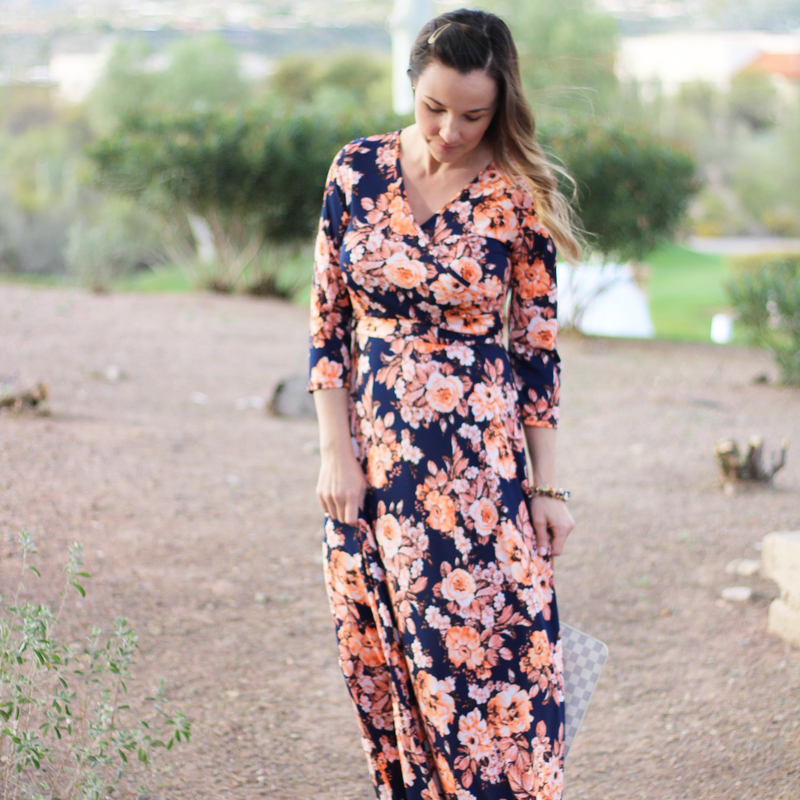 Navy + orange maxi dress giveaway! So, it’s probably not a big surprise that I am wearing a navy and orange floral dress because these are a few of my favorite things! I love blue and orange together because it stems from my all-time favorite baseball team, the NY Mets and secondly, I really do love anything floral! 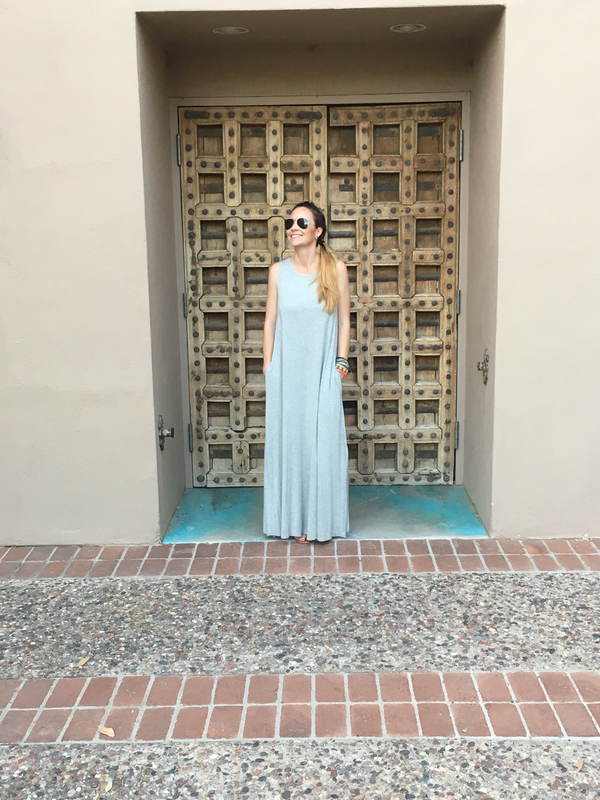 Maxi dresses are not all created equal and there is nothing worse in my opinion than one that is ill-fitting or even worse, material that is too thin! This dress was gifted to me from Pink Blush and they know what they are doing. Everything I have purchased or have been gifted from them has been made of excellent quality and they ship really fast too. 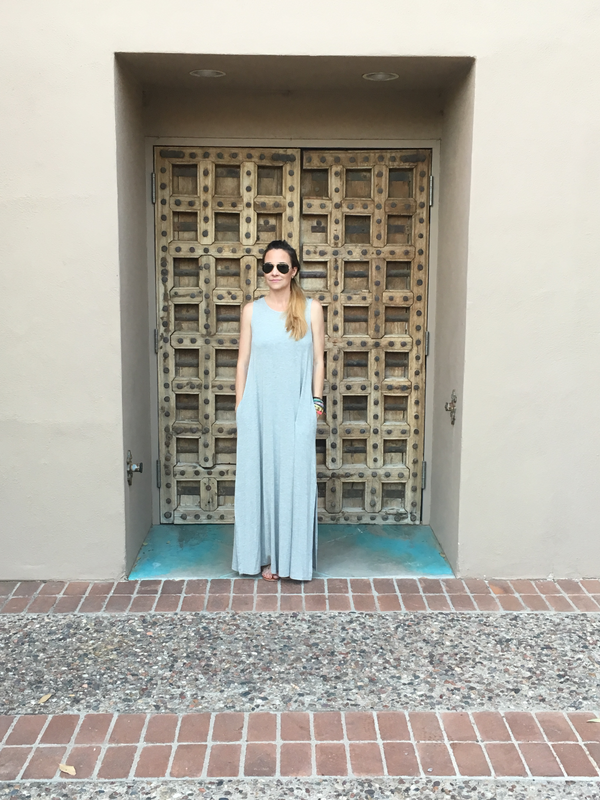 This maxi dress is so beautiful and I love it for lots of reasons. I already mentioned I love the colors and the print. How about the fit? Well, I am a size small and it fits me well, but I also think this could fit a medium too. The reason being the fabric is thick and there is even a substantial weight to the dress as well. Also, I am only 5’5 and I have a good couple of inches of length past the bottom hem line, I definitely have to wear heels. 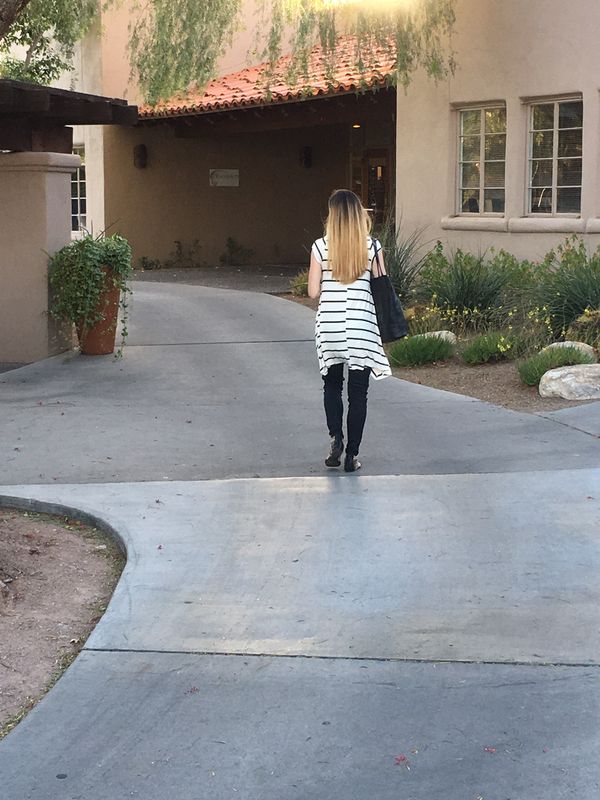 This would also be perfect for someone taller than me because of its great length. 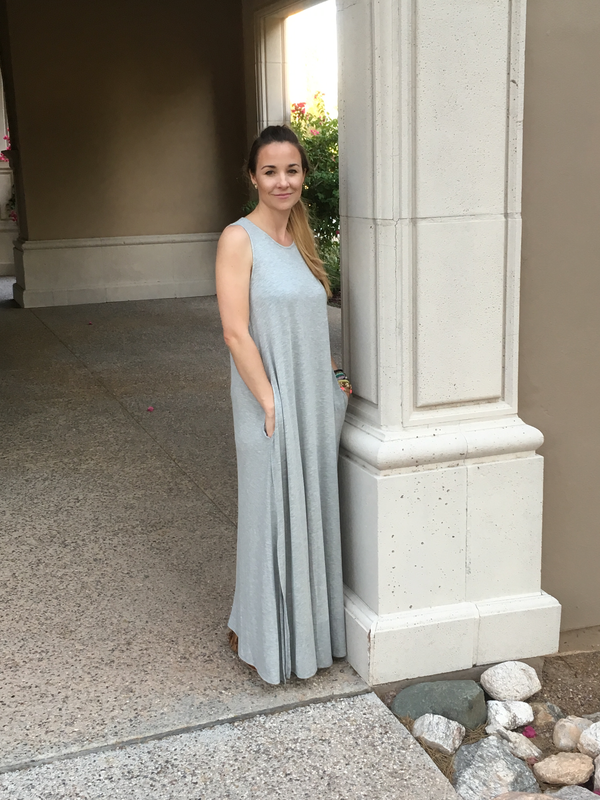 One more reason why I love this beautiful maxi dress is that it is maternity and nursing friendly. Oh, I can stop right here because this is my favorite part AND also the reason why I have decided to giveaway this beauty! I know most of you know I am a third-time mama over here and I wish I had even one dress like this in my wardrobe back then. 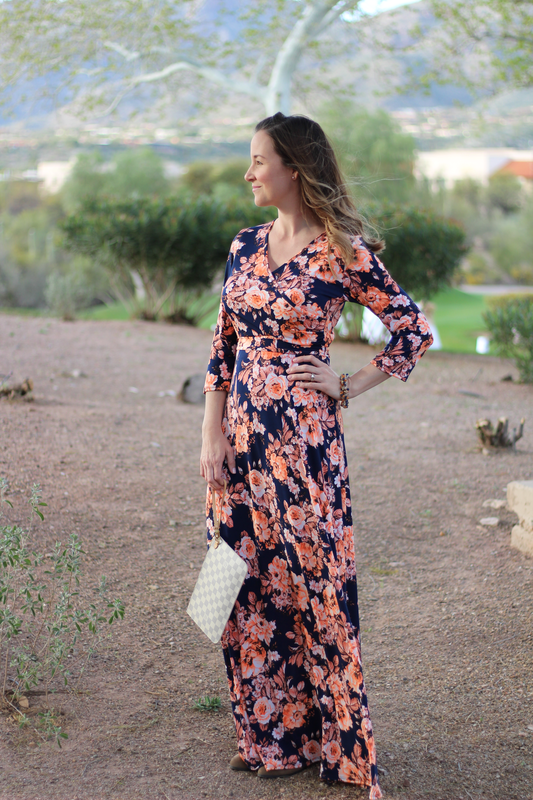 Nursing my other two babies in style would have been amazing, so yes, one lucky woman or mama will be the winner of this beautiful, navy and orange maxi dress from Pink Blush! Yay, I am so excited to bless another mama! 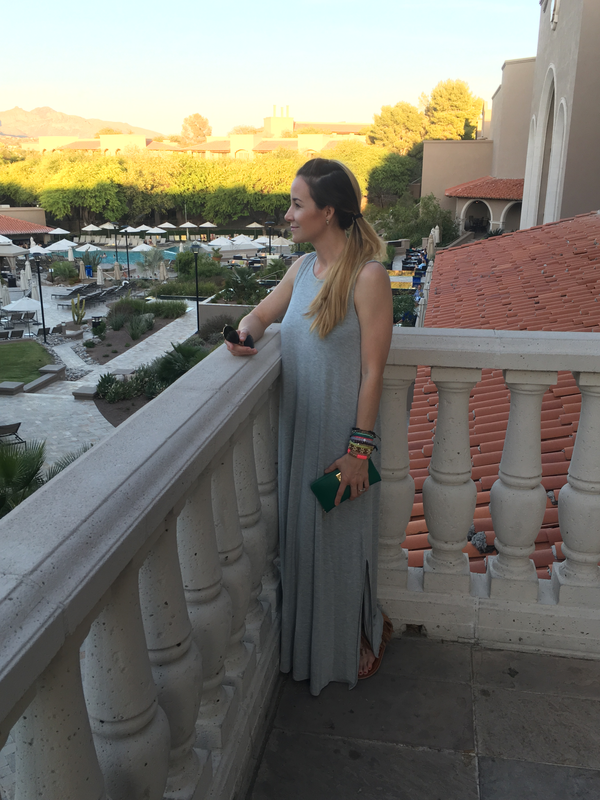 This dress was gifted to me, but this post is not sponsored by Pink Blush in any way nor is this giveaway. You can enter the giveaway below and you need to be at least 18 years old to enter and open to U.S. residents only, please. Giveaway will close March 24th, 2017 and the winner will be announced here. Good luck lovelies! I took a little week off from writing, but it feels good to be back at it again. Remember a few posts back I mentioned a fun shop called Pink Blush? 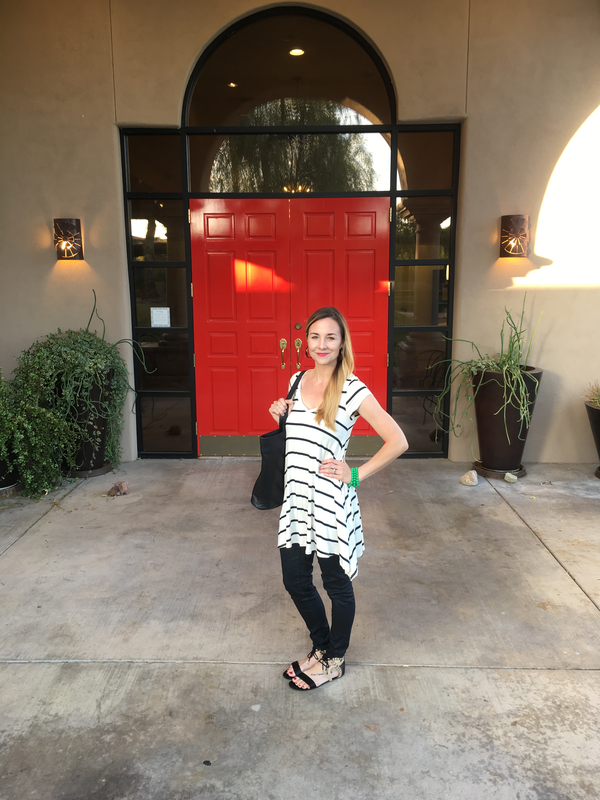 They are a great online shop for pretty maternity tops, robes, and gorgeous dresses and the best part is, you don’t have to be pregnant because they also have women’s clothing that fit all shapes and sizes! I am in love with everything I have received from them and the quality is amazing! I know I said all this before in my other post, but I am such a believer in good things and Pink Blush is definitely one of them. 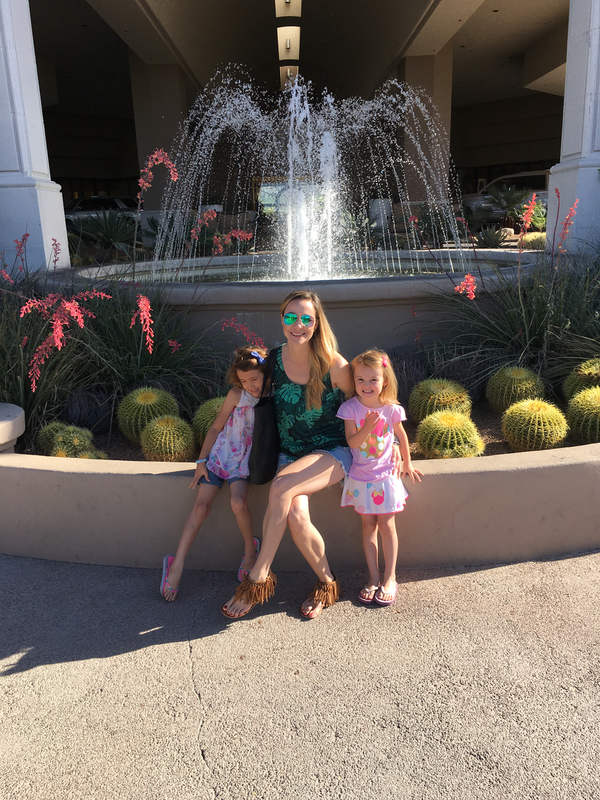 If you are like me and find yourself shopping online mostly these days because really who has time to go shopping when you are a mom or the thought of hauling your little ones with you to go from store to store isn’t exactly ideal, then you really should check them out. When I first saw this evening gown the first thing that came to mind was the movie Pretty in pink. Oh Molly if only you had access to Pink Blush! 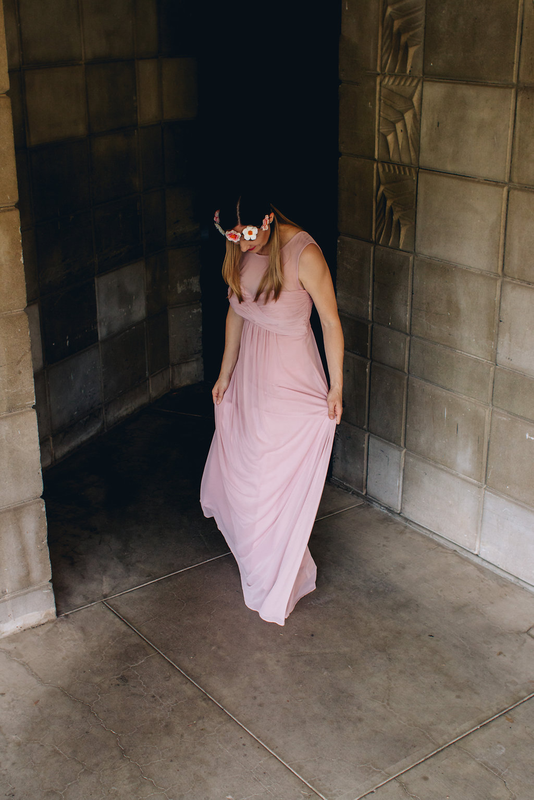 They were so kind to send me this dress and I feel every bit pretty in pink in it! I can’t wait to wear this gown to the next ballet or maybe to the next wedding we attend. I love how comfortable it is and I don’t have to worry about my pretty under things showing because it is fully lined too. This gown is like every bit greek goddess status ladies! I had such a blast out on location with my photographer friend, Megan Sosa. She really knows her stuff behind a lense and this post would not have been the same without her. G I V E A W A Y C L O S E D! Ok now the fun part, I have saved the best part for last. You can enter to win the chance to receive a $50 gift card to use on your next purchase at Pink Blush. Go ahead and get your pretty on! FOLLOW me on Instagram here and tag 3 friends and FOLLOW Pink Blush here. LIKE my page on Facebook and share this post on your facebook page. If you have already entered a Pink Blush giveaway and won in the last 3 months you will not be eligible. Previous winners must wait 3 months before they can enter to win again. Giveaway will close May 19th. Have fun and good luck friends! The winner will be announced on all social media platforms listed. Hello + Happy Monday friends, We decided we needed to getaway for the weekend to unplug and spend quality time as a family. 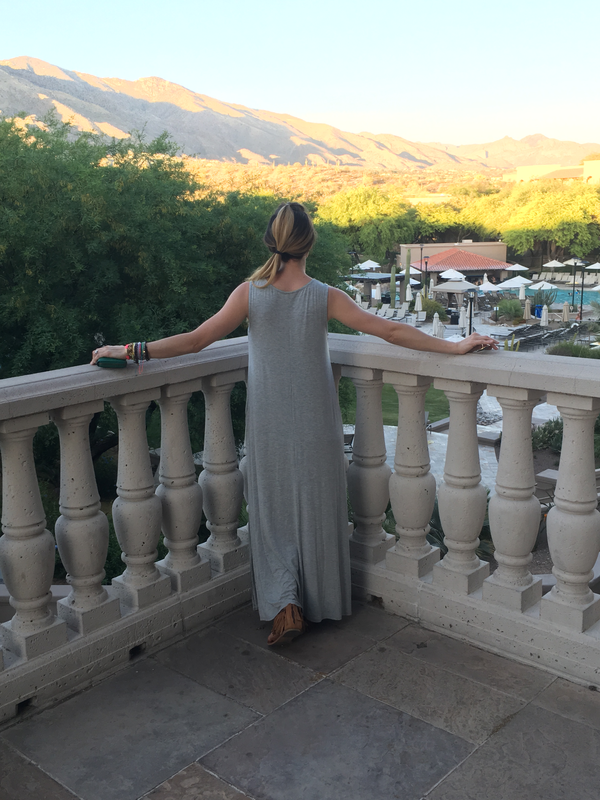 There is so much going on right now between my husband traveling more than usual to starting to prepare for the summer and Clara’s last day of school and then there is blogging. Now I’m not going to get all negative Nelly here, but I so enjoyed “unplugging” this weekend. 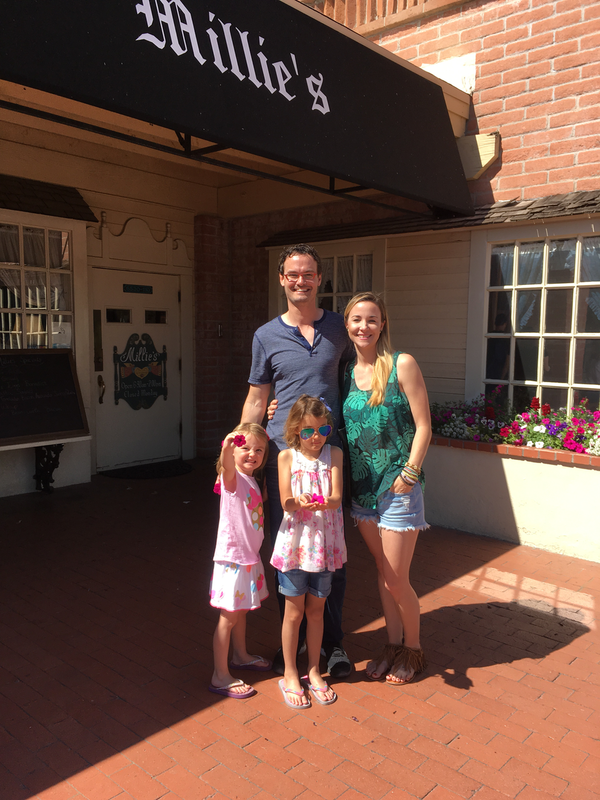 I also needed to get away from all things blogging and social media related. I really enjoy this new hobby, but sometimes it really stinks! So come Friday I posted that I was going to be unplugging for the weekend and I was nervous because it isn’t easy to unplug it’s actually really hard! I am one of those people that works really hard for everything and I was actually afraid of losing followers and readership and ya know what I did. Yep come Monday morning I lost about 10 followers on Instagram most of which were spam, but still this is the part that stinks! But you know what I spent the weekend relaxing and playing and laughing with my little family and it was so refreshing and beautiful. So my new motto after this weekend is, “weekends are for family” because honestly this is what is most important not how many followers I’ve got on Instagram. 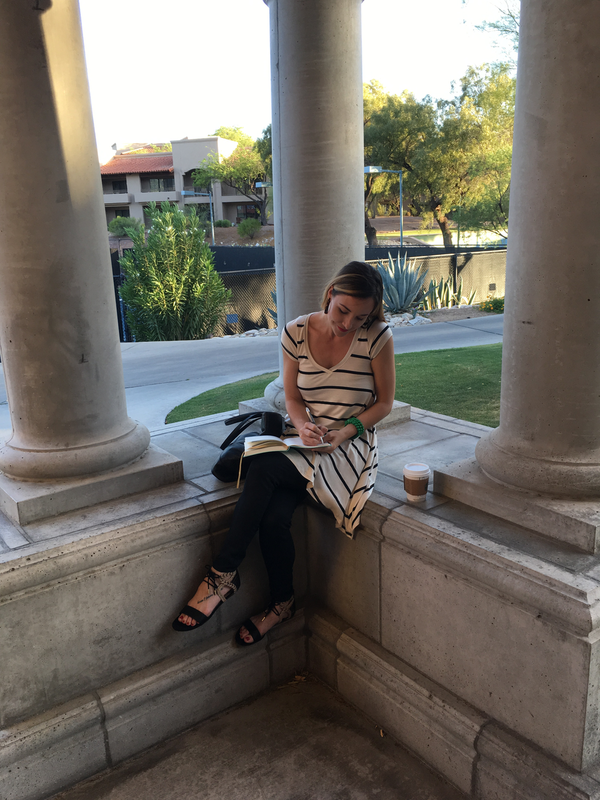 Seriously I have had to rethink so much and give so much of this over to God because it is hard it’s not easy…Babes Bloggin’ ain’t easy! So I found a new online shop that came highly recommended by other bloggers I know and so of course I had to check them out. 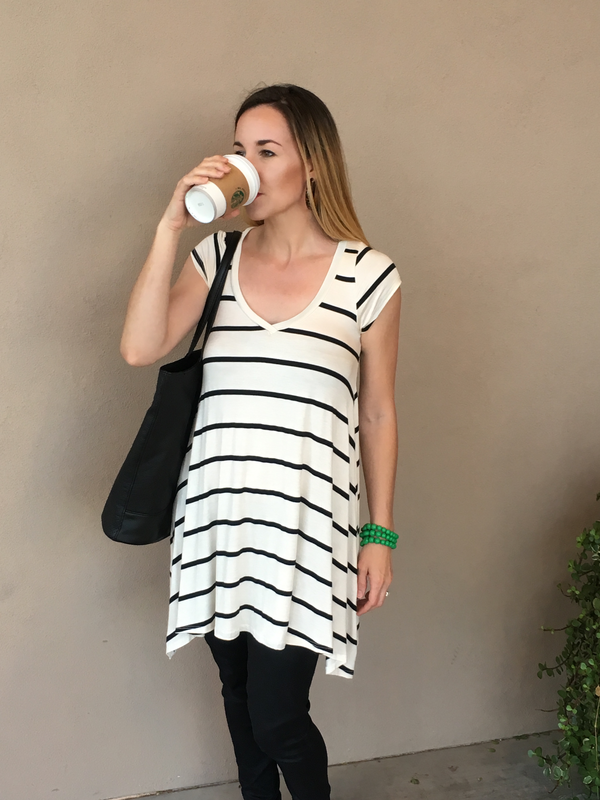 I am starting to add a few Spring/Summer staples to my wardrobe and I found this amazing tank dress + striped long flowy tunic from Pink Blush. 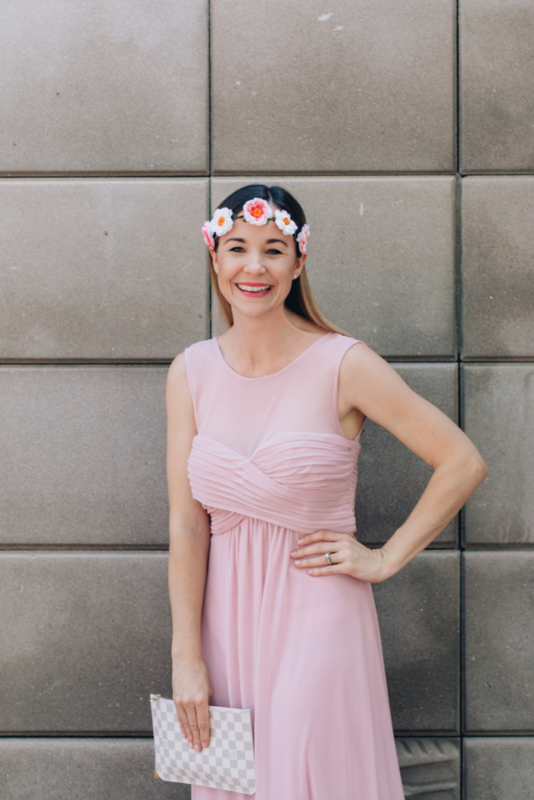 So Pink Blush is a maternity + women’s clothing boutique specializing in comfortable, flowy dresses, robes, tops and so much more. They were also having a great sale which just so happens to still be going on. You can save 25% OFF using code: STOREWIDE and always Free shipping within U.S. + if you miss this sale you can signup and receive 15% Off your first order at any time! After ordering, receiving, and reviewing my purchase from Pink Blush they are quickly becoming a new favorite! I was so pleased how quickly my order came, they send email notifications and everything is prompt and efficient. I don’t know about you, but I don’t have a ton of time to shop so I like being able to shop online. 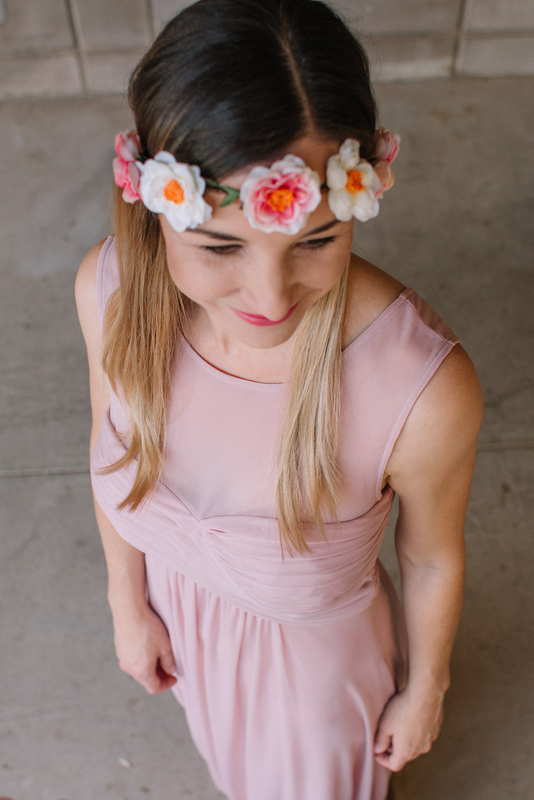 Pink Blush makes it so easy to do all of this. I love my items and I love a good sale even more. If you have been following along on here for a little while you probably have picked that up by now. So all of these things are great, but what about their quality? 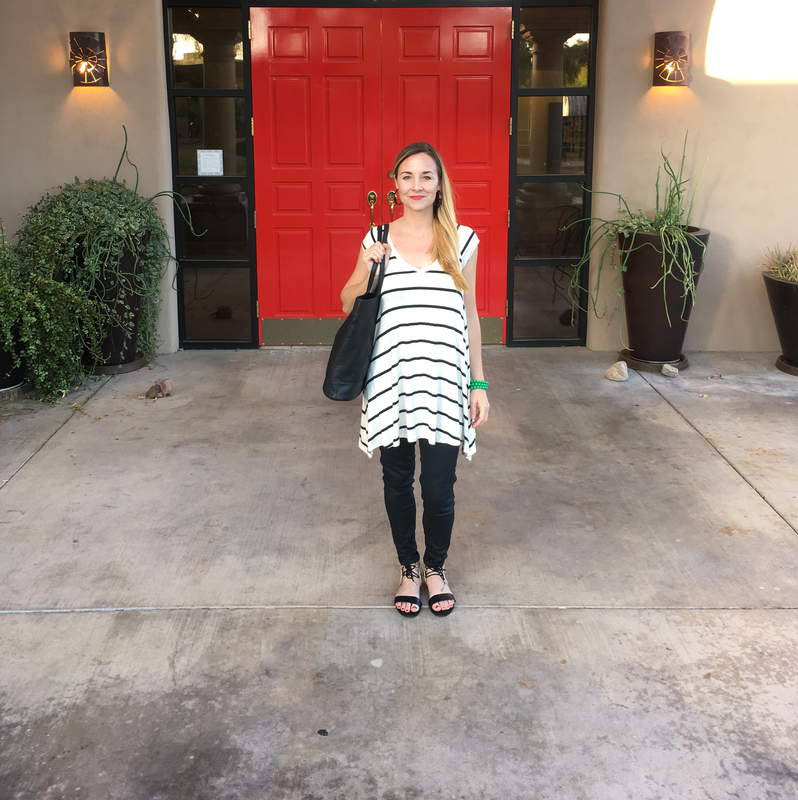 I have been so disappointed from buying a dress or top online from some adorable boutique to only be completely disappointed by the quality and feel of an item and then to make matters even worse you are unable to return. Well I was very pleased with this awesome, flowy tank dress so comfortable and it has pockets win for the win! Hope you all had a lovely weekend see you next time.